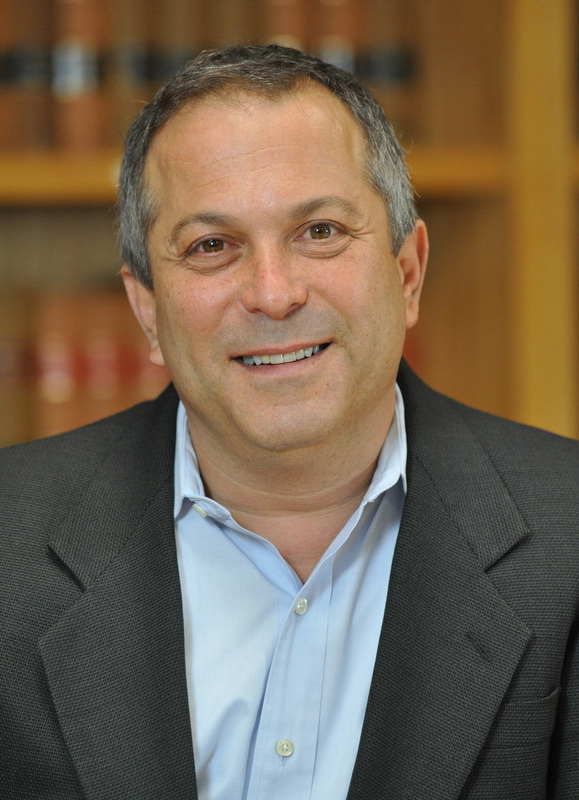 Robert Greenwald is a Clinical Professor of Law at Harvard Law School and the faculty director of the Law School's Center for Health Law and Policy Innovation (CHLPI). In addition to teaching seminars in health and public health law and policy, for over 25 years Robert has been engaged in state and national research, policy development, and advocacy to expand access to high-quality health care, reduce health disparities, and promote more equitable and effective health care systems. Robert is currently serving as a co-chair of the Federal Chronic Illness & Disability Partnership and the HIV Health Care Access Working Group. From 2000-2006, Robert served as member of the Presidential Advisory Council on HIV/AIDS and as the co-chair of its Access to Care sub-committee. Robert has served as a consultant to the federal government’s Health Resources Services Administration and the Centers for Disease Control and Prevention's Community Advisory Board as well as numerous state governments and community-based organizations. Robert received his B.A. from Vassar College in 1980 and his J.D. from Northeastern University School of Law in 1986. Jason Grebely, Gregory J. Dore, Robert Greenwald, Tracy Swan, Soumitri Barua & Lynn E. Taylor, Letter, Hepatitis C Virus Treatment and Persons Who Inject Drugs, 164 Annals Internal Med. 203 (2016). David R. Holtgrave & Robert Greenwald, A SWOT Analysis of the Updated National HIV/AIDS Strategy for the U.S., 2015-2020, 20 AIDS & Behav. 1 (2016). In July 2015, President Barack Obama released an updated National HIV/AIDS Strategy (NHAS) for the United States to guide HIV efforts through the year 2020. A federal action plan to accompany the updated NHAS will be released in December 2015. In this editorial, we offer a strengths, weaknesses, opportunities and threats analysis with the aim of increasing discussion of ways to truly fulfill the promise of the updated NHAS and to address barriers that may thwart it from achieving its full potential. Soumitri Barua, Robert Greenwald, Jason Grebely, Gregory J. Dore, Tracy Swan & Lynn E. Taylor, Restrictions for Medicaid Reimbursement of Sofosbuvir for the Treatment of Hepatitis C Virus Infection in the United States, 163 Annals Internal Med. 215 (2015). The aim of this study was to systematically evaluate state Medicaid policies for the treatment of hepatitis C virus (HCV) infection with sofosbuvir in the United States. Medicaid reimbursement criteria for sofosbuvir were evaluated in all 50 states and the District of Columbia. The authors searched state Medicaid Web sites between 23 June and 7 December 2014 and extracted data in duplicate. Any differences were resolved by consensus. Data were extracted on whether sofosbuvir was covered and the criteria for coverage based on the following categories: liver disease stage, HIV co-infection, prescriber type, and drug or alcohol use. Of the 42 states with known Medicaid reimbursement criteria for sofosbuvir, 74% limit sofosbuvir access to persons with advanced fibrosis (Meta-Analysis of Histologic Data in Viral Hepatitis [METAVIR] fibrosis stage F3) or cirrhosis (F4). One quarter of states require persons co-infected with HCV and HIV to be receiving antiretroviral therapy or to have suppressed HIV RNA levels. Two thirds of states have restrictions based on prescriber type, and 88% include drug or alcohol use in their sofosbuvir eligibility criteria, with 50% requiring a period of abstinence and 64% requiring urine drug screening. Heterogeneity is present in Medicaid reimbursement criteria for sofosbuvir with respect to liver disease staging, HIV co-infection, prescriber type, and drug or alcohol use across the United States. Restrictions do not seem to conform with recommendations from professional organizations, such as the Infectious Diseases Society of America and the American Association for the Study of Liver Diseases. Current restrictions seem to violate federal Medicaid law, which requires states to cover drugs consistent with their U.S. Food and Drug Administration labels. Robert Greenwald, Presentation at the 7th Annual Hunger Action Summit, Food as Medicine: The Case for Insurance Coverage for Medically-Tailored Food Under the Affordable Care Act (Jan. 30, 2015). Presentation at the 7th Annual Hunger Action Summit, January 30, 2015, in Santa Clara, CA. Robert Greenwald, The Role of Community-Based Clinical Legal Education in Supporting Public Interest Lawyering, 42 Harv. C.R.-C.L. L. Rev.569 (2007). At a time when law schools increasingly promote high-profile, "cutting edge" clinical programs to attract potential law students, it may seem odd to celebrate the place of community-based legal service programs in clinical legal education. However, it is my belief that such programs serve an important role in legal education and support ongoing participation in public interest-oriented legal service. Community-based clinical programs provide law students with an opportunity to build practical lawyering skills while exposing students to the significant opportunities that exist to use their newly acquired legal skills to promote social justice. In addition to imparting experiential learning through working with clients, law clinics anchored around community-based legal services provide the next generation of attorneys with the opportunity to better understand and help bridge the access-to-justice gap of poor and low-income clients in their own communities. They offer law students firsthand exposure to the dramatic consequences of increasingly insufficient funding of traditional legal service programs and demonstrate that public interest lawyering plays a significant role in advancing social justice by addressing the day-to-day legal service needs of individuals who otherwise would largely go unrepresented. The sponsorship and endorsement of community-oriented legal services by law schools helps to seed in law students a professional commitment to public service. It is this commitment, which I have seen nurtured in law students and fully realized in law school graduates, that leads me to conclude confidently that with the ongoing support of community-based clinical programs, the next generation will continue the tradition of lawyers serving at the forefront of the social justice movement.